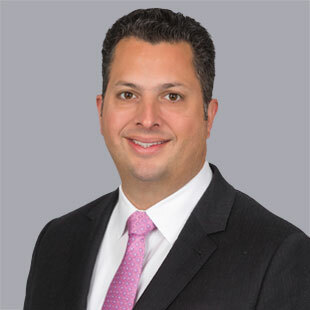 Anthony Lanni joined QuadReal in February 2017. As Executive Vice President, Residential, he is responsible for the overall leadership and strategic direction of QuadReal’s Canadian Residential and Seniors Housing portfolios, including responsibility for the sector’s integrated investment management, technical services and property management functional areas. With demonstrated leadership in acquisitions, development and construction, Anthony brings a deep understanding of markets and design to the QuadReal leadership team. Anthony was formerly a Vice President with Bentall Kennedy, where he led multi-family asset management activities in Canada. Previously, he was a partner with a Canadian development company with responsibility for the firm’s investment and development programs. Earlier, Anthony worked in corporate finance in both New York and Toronto with a global financial institution. Anthony holds an MBA in Real Estate & Finance from the Schulich School of Business at York University, a BES from York University, and is a Professional Land Economist. He values working in an industry where passion and creativity is the rule, not the exception.